When the expanded and renewed Science Centre Heureka reopens at the end of January, the public will be treated to an unprecedented anatomical safari. 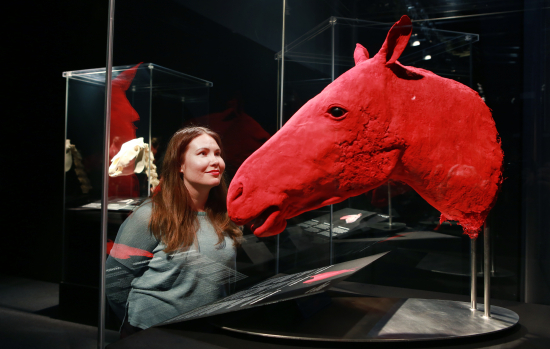 On 28 January, Heureka presents Body Worlds – ANIMAL INSIDE OUT, an exhibition about the anatomy of animals. 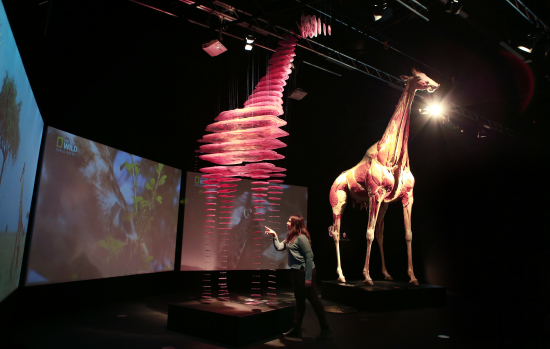 It is a continuation of Body Worlds, an exhibition about the human anatomy that drew large crowds to Heureka throughout 2013. 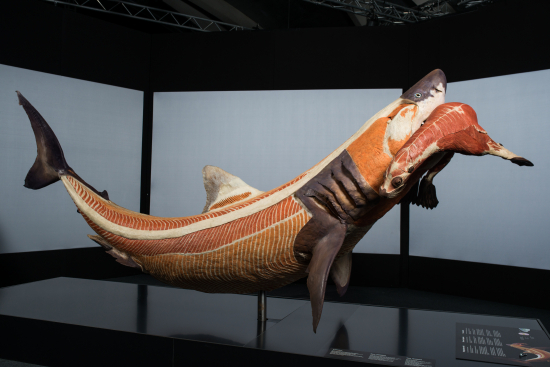 The ANIMAL INSIDE OUT exhibition is a voyage into the various layers of the animal anatomy. The exhibition will allow you to see what lies beneath skin, fur, and down. Thanks to a technique known as “plastination”, it is possible to show the internal structure of animals in precise, authentic detail down to the level of the bones, muscles, nerves, and organs. ANIMAL INSIDE OUT consists of more than a hundred plastinated animal bodies and body parts. The exhibition allows visitors to get acquainted at close range with animal anatomy, from the tiniest frog to a giraffe 5.1 metres tall – and even to a full-size elephant. In addition to these exotic species, there are also more familiar species on display, such as horses, chicken, and goats as well as reindeer and bear. The massive exhibition, covering over 1,000 m2, expands to two Heureka exhibition halls: the Vaulted Hall and the Cube Hall, the latter of which is now opening for the first time. animal body structures in a unique way. Many interesting questions will be answered: How many muscles are in an elephant’s trunk? Why can’t ostriches fly? How much does a bull’s heart weigh? “It is fascinating to see the anatomical similarities of the vertebrates on the one hand, and how many different anatomical variations have formed on the other hand, in response to an animal’s living conditions – such as the elephant’s trunk or the giraffe’s long neck,” says exhibition curator, Dr. Angelina Whalley. The exhibition was made possible using the plastination procedure developed by Gunther von Hagens, a medical expert. Plastination involves the removal of the body’s fats and liquids and their replacement with fluid plastics. These halt the decomposition of the body. The plastination technique gives solid, durable, and odourless anatomical specimens for educational purposes. Judging from visitors’ questions and feedback on ANIMAL INSIDE OUT exhibitions held elsewhere, the exhibition increases people’s respect for threatened and endangered species, and helps create a better understanding of the importance of endangered species protection efforts. According to Von Hagens himself, people should not assume that we will treat other species respectfully and take the necessary measures to care for them if we do not understand the wonderful nature of their particular anatomical characteristics. The exhibition has been created in cooperation with several universities, zoos, and teams of specialists. The animals on display were donated to the exhibition through the veterinary medicine programmes of a number or universities, and from zoos and animal welfare groups. No animal was killed or harmed for this exhibition. Von Hagens’ exhibition of the human anatomy, BODY WORLDS, ran in Heureka in 2013. The exhibition was a huge success, drawing over 300,000 visitors in six months. 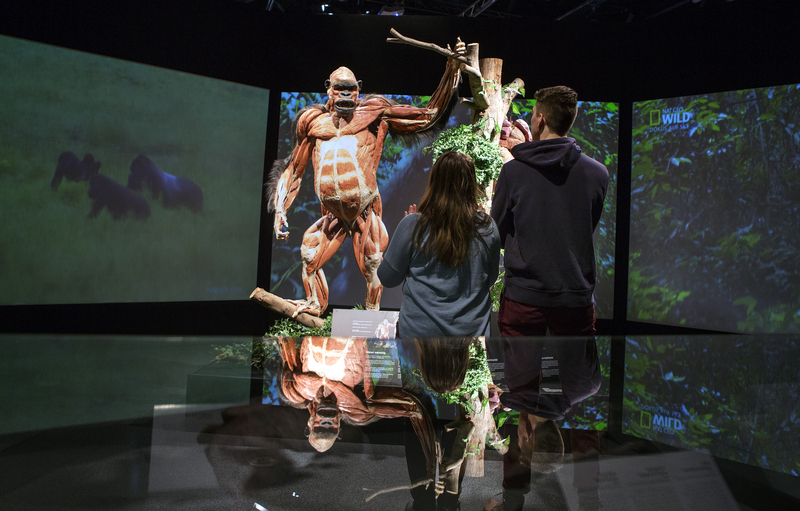 Body Worlds – ANIMAL INSIDE OUT at Science Centre Heureka from 28 January to 29 October 2017.